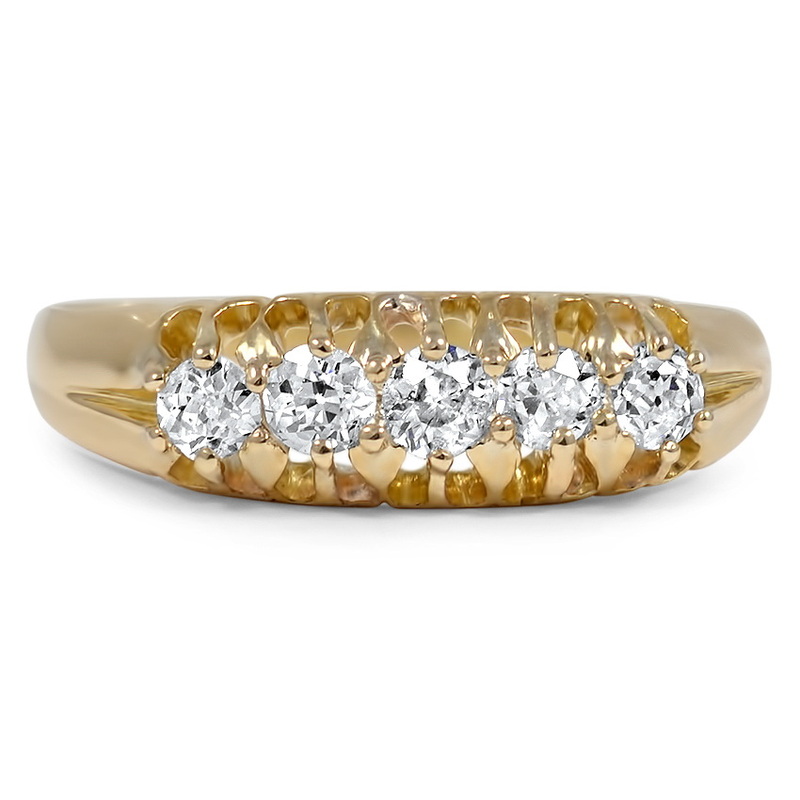 Five old mine cut diamonds adorn this classic Victorian ring. The simple and elegant design gives the piece a timeless and romantic air (approx. 0.45 total carat weight).